Feeding Kangaroos and Flamingos at BuschGardens Tampa! 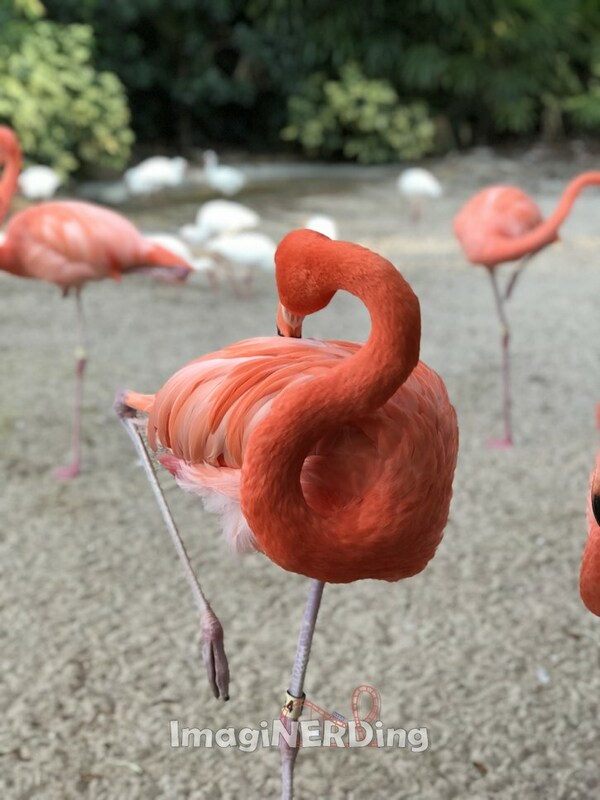 This lovely flamingo posed perfectly for me when I was feeding the flamingos at the Animal Connections area at BGT. Busch Gardens Tampa (BGT) is one of my favorite theme parks in the world and I’ve made the Tampa park part of every central Florida visit for the past few years. In addition to world-class coasters, Busch Gardens Tampa offers some unique animal encounters. In this video, I feed (and touch) the kangaroos at Kangaloom and I fee the flamingos at the Animal Connections area. I’ve also got some video of the penguins, I talk about the Animal Care Center and I hear a strange noise in the lion area. There’s so much to do at BGT for animal lovers, even without riding any of the roller coasters. Oh! And I’ve got some video of a few gorgeous birds at the Lory Landing area (one of the oldest sections of the park). You need to ride Cobra’s Curse at BGT! Busch Gardens Cheetah – Run and Hunt!